There are three things I hate: blogs, irony, and lists. Ok, maybe “hate” is a strong word and maybe – as you’ve likely noticed by the title of my article – I don’t actually dislike any of those things. But it does seem like everywhere you look these days someone has written a handy list of things you can do to help you achieve your goals. Titles like “Top 10 Ways to ___” fill the covers of magazines, blogs, and other publications the world over. Cycling outlets are no different from their popular media counterparts – lists abound! Just about every expert or coach has their own list of things that cyclists should focus on in order to get faster. If you ride your bike as much as most of these people have, it leaves you with a lot of time to compose lists in your head. But how much do these lists really help someone get fast? Is there a better way to get faster than reading copious amounts of articles and lists on the internet? I think the answer to that question is “yes”. 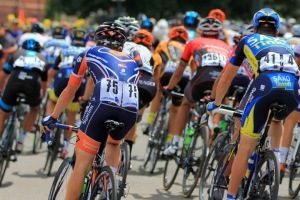 So here it is: the last “how to become a better cyclist” list you’ll ever have to read. Duh, right? Getting faster on a bike starts first and foremost with riding your bike. But with all the gadgets, technology, nutrition, and other whatnots marketed to cyclists today to help us perform better it can be easy to forget this important first step. Of course there is a huge discussion and multiple caveats that go beyond “just go out and ride your bike”, but that is down the road a bit (pun intended). Step one is to ride your bike. Assuming you have working equipment and you’re not injured, completing step one is primarily about time management, prioritization, and motivation. Some people have more available time than others, admittedly, but it really comes down to what you can do with your time. As far as motivation goes, the important thing is to figure out what works for you. My best advice for both finding time and motivation is to love what you do. You need to enjoy the journey if you’re going to get better at this (I think each one of my athletes have heard those words of wisdom come out of my mouth at least 20 times). Training for endurance events is hard and uncomfortable on many levels. You need to be in a good place mentally in order to do it to your full potential. Ok, so that was a lot of touchy-feely talk, but it’s important. This is because of three key scientific principles of endurance training: volume, intensity, and consistency. For an individual to reach their maximal performance potential for a given endurance competitive event they must put in a certain amount of volume and intensity for that exercise (or combination of exercises) – but most importantly they must do so consistently. You could write books about what the optimal amount and combination of the first two are; but the main take home message here is that volume and intensity are crucial parts of any training program and you have to incorporate them consistently if you want to get better. “Ride your bike” not only touches on how to get faster, it also touches on what you should be doing to get faster. This gets into cross training and other exercises besides cycling. Some people swear up and down that some kind of exercise other than cycling, be it core, yoga, xc-skiing, running, weight lifting, etc., helps them get faster on the bike. Well, maybe. It depends how you slice it. In the strictest sense I’d say probably not (and the comments section will explode in 3-2-1…). Cross training for cyclists can be a complicated discussion, but the specificity principle of training boils it down to this: If you want to get faster on the bike, are motivated to ride your bike, have time to ride your bike, are injury-free, and not part of a special population, then ride your bike. 2. Own Your Rides: Log! I don’t think it can be stressed enough how important it is to log your workouts. Cannot. Be. Stressed. Enough. In my opinion, logging is a mark of training maturity. It is the realization that in order to move your training forward you must know where you’ve been, and in order to do that you must keep a record of what you are doing. It is taking ownership of your rides. Logging, like riding your bike enough to be competitive, is about forming a habit. So in a way, if you have found what it takes to ride your bike on a regular basis, you’ve probably got what it takes to log your training. Like riding your bike, logging takes time and motivation. Do some thinking to figure out what it’s going to take for you to find those things in regards to logging. It is important to point out that in order for logs to be worth the while they must be consistent, complete, and accurate. Consistency means you log for every day – even days you don’t work out. Train hard, recover harder, take credit for it, and record it all. Logs that are complete have a defined minimal amount of data included for each workout log. I usually say that each workout should include at least four things: distance, duration, a training stress score (TSS), and comments. Obviously there is a lot more that can be included, and all additional relevant information helps to build a better picture, so adding more when you can is desirable. Lastly, make sure your logs are accurate. This means making sure the data you are entering actually describes what happened. This is especially important when uploading data to TrainingPeaks. Check to make sure all the fields are populated with numbers that reflect what actually happened. If you have 600 TSS for a 2-hour ride something is off. Do some digging and find out what the issue is. I know you’ve probably heard this a million-jillion-kazillion times, but if you’re not training with power yet, and you care about your performance, you need to get on that bus. I know there are some riders out there that are really anti-training with power, or feel they are too expensive, or are just indifferent to it, but seriously let’s get with it here. As a coach and exercise physiologist, training without power doesn’t make a whole lot of sense to me. Riding without power is like weightlifting at a gym and not looking at the weight to see how much you are actually lifting. You wouldn’t do that there, so why would you do it with the sport you’re focusing on? Training with power gives you an objective measurement to base many aspects of your training off of. It is truly a godsend to the sport of cycling. Look at what other sports use to track and analyze performance data and this becomes very apparent. The advantages of training with power are numerous, but I’ll restrain myself from describing them all, especially since there are plenty of good books and articles out there that already get into this topic. The key things with power, in regards to this list, are that it offers a measure of performance that can be correlated with your physiology and it allows you to track your progress over time (enter your logs!). It should also be noted here as well that unlike other purchases you might make for your bike (e.g., carbon wheels) and person (e.g., an aero helmet) to make you faster, buying a power meter requires putting some effort above and beyond purchasing and installation. 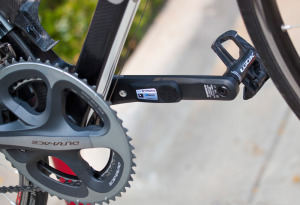 You will have to learn how to use your power meter for it to be effective in helping you increase your performance. Again, there are plenty of good books and articles out there that can help you do this. At this point some of you might be noticing that this minimalist list is leaving a ton of important things out. I have made no mention of nutrition, recovery, bike maintenance, bike handling, race tactics, intervals, testing, etc. I left this incomplete intentionally. Why? Because, surprise, numbered lists probably won’t make you a better cyclist – no matter how complete they are. The best way of becoming a better cyclist, as with most other disciplines, is by working with a coach and/or other experts in the field. In essence, the list to become a better cyclist can be boiled down to one ultimate item: seek help from an expert who will work with you one-on-one. No one is an island, so don’t go at it alone when there is plenty of help available. So why did I compose a list of these three things while at the same time asserting that working with an expert is the best way to go? Because doing the three things I’ve presented in this article prepares you to work with an expert or coach. Riding your bike promotes time management skills so you know how to make time to complete prescribed workouts. It also forces you to find, at least in part, what motivates you to train. This is important for you and a coach you would work with to know. Logging your rides means you have the beginnings of what it takes to communicate with a coach effectively. It also means you will have a record of what you have done so proper advice can be given. If you are training with power it means there is objective data that can be analyzed by the expert helping you so the advice given can be specific and relevant. To be clear, I’m not trying to deter anyone from educating themselves about their sport by knocking on lists. Doing independent research about cycling and performance is encouraged and helps individuals mature as athletes. In fact, we wouldn’t have experts if people weren’t taking the time to educate themselves. What I am saying is, when you have made the decision to step up your game, one-on-one help from an expert is only the way to go. So there you go. This is the last list you’ll ever need to read about how to become a better cyclist because it gives you the foundation of what you’ll need to eventually work with a coach. And when you start to do so, the foundation you’ve created through these good habits paired with the guidance of a skilled professional will ensure without a doubt that you WILL become a much better cyclist.